What irresponsible individual purchases an exotic animal, takes on the responsibility of caring for, feeding, and treating to the needs of pet outside of its natural habitat, only to abandon it in the wild? Sadly, numerous exotic reptile owners in the United Kingdom have bucked on their responsibility as pet owners in recent weeks. What could possibly lead an individual to act with such disregard for the life of an animal? Animal rights advocacy groups and authorities in the UK are currently attempting to answer that question. The number of exotic snakes that have turned up dead will make you raise an eyebrow. Could all the deaths be linked to one person? Over the past several weeks in the United Kingdom, a number of exotic snakes have been abandoned by their once owners. The reasoning behind the snakes being left in several locations is unknown. Authorities believe the rationale for the snakes being left in the wild could be related to the cost of taking care of the exotic animals. The Royal Society for the Prevention of Cruelty to Animals (RSCPA) has been open with its criticism towards those who are willfully “dumping” exotic snakes without regard to their welfare. The RSCPA has publicly commented on reptiles being left in the wild, saying they do not stand much of a chance to survive. How many snakes have died recently? Someone walking their dog found four lifeless royal pythons several weeks ago. 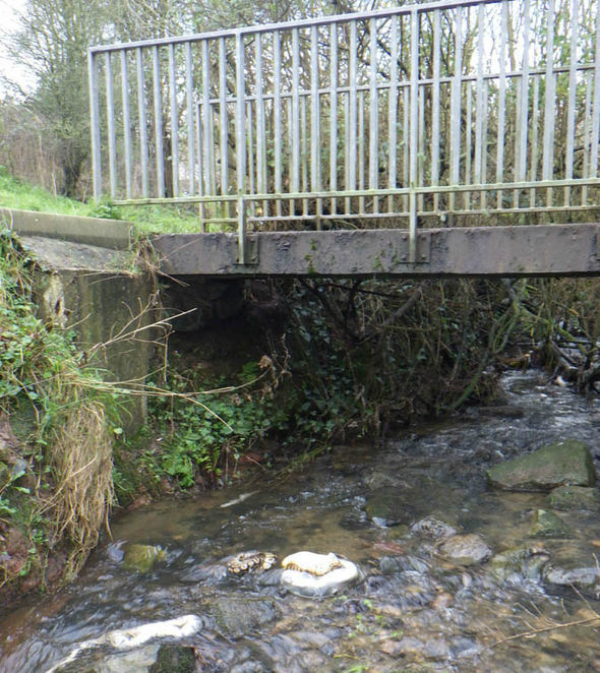 Their bodies were partly submerged in a stream below the footbridge near Denbigh Police Station, North Wales. 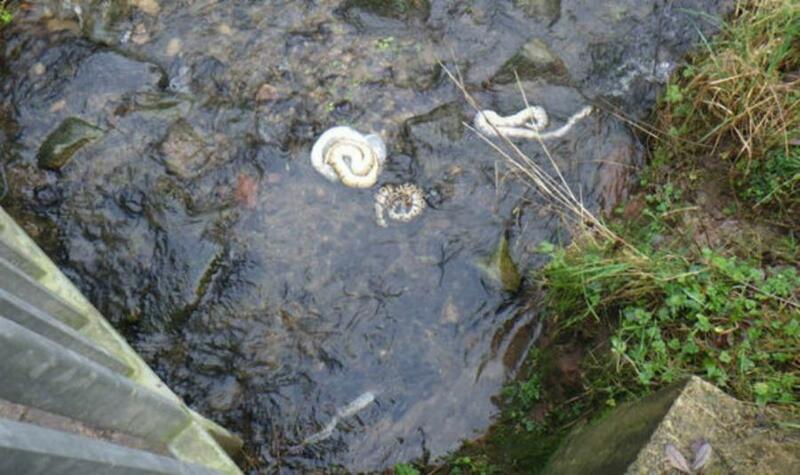 A number of pictures were taken of the scene to document the dumping of these snakes. Why does this keep occurring? 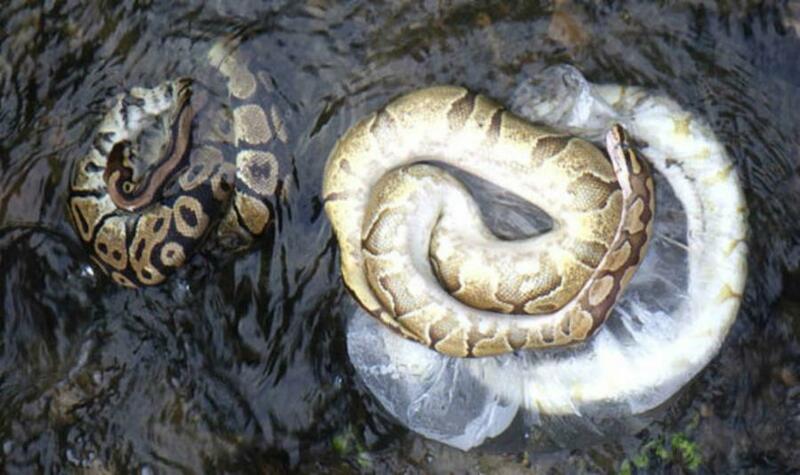 While other snakes have been abandoned in the United Kingdom, this was the second incident of royal pythons being discarded in recent weeks by their owners. Around Christmas, other royal pythons died after being left outside a veterinary hospital in Plymouth. While the incidents are not thought to be connected, the RSPCA remains worried.